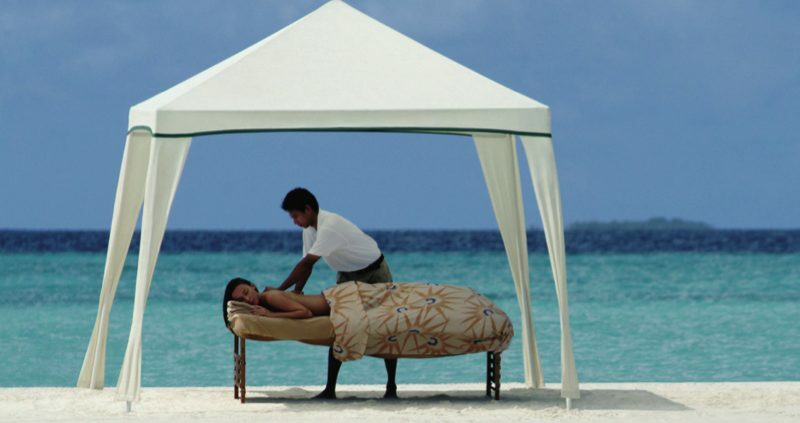 There are two luxury Four Seasons Resort Maldives islands. There is also the Four Seasons Explorer yacht offering liveaboard luxury cruising. These stunning 5* resorts offer privacy in an unspoiledsetting, wonderful facilities, and a contemporary classic style, in harmony with the islands natural beauty. Both islands have a beautiful turquoise lagoon surrounding them, which are teeming with colourful marine life. With three distinct Resort experiences, two private islands and a luxury liveaboard yacht, Four Seasons Resort Maldives makes it easier for you to discover more of the Maldives. The Four Seasons hotel chain prides themselves on their highly personalised 24-hour service, combined with authentic, elegant surroundings of the highest quality. Their hotels are a home away from home for those who know and appreciate the best. Four Seasons is a global luxury brand. Lose yourself on an enchanting garden island where everything is close at hand. Visit the island Spa, set on its own island, just a minutes sail away, or take a surfing lesson or a dolphin cruise. You can stay in a Beach Bungalow or Water Villa. There are also family beach bungalows and a range of one or two bedroom suites. All Villas are built using local materials, from the thatched roofs to timber lattice work to the white stone walls. 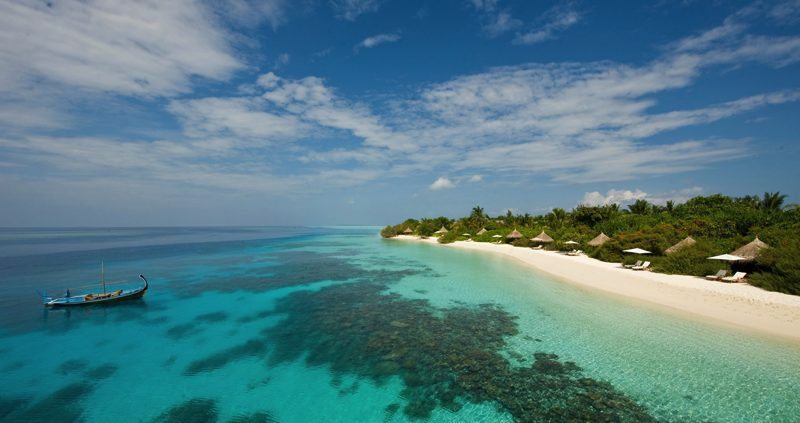 The Four Seasons resort Maldives, Kuda Huraa is the perfect sanctuary for those looking for modern day luxury. 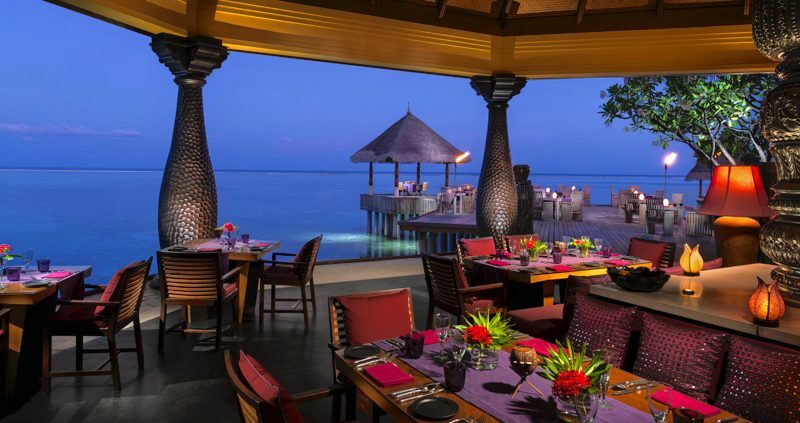 With four restaurants and two bars you are spoiled for choice at the Four Seasons Resort Kuda Huraa. There are fine Indian dishes, the taste of contemporary Italy or a feast on Asian treats. Choose a meal plan to suit from Bed & Breakfast, Half or Full Board. Four Seasons resort Kuda Huraa has 3 pools including an over 16’s only infinity pool. There is a PADI Five-Star IDC Centre, offering lessons and plenty of excursions, including wreck diving, thila diving and diving with Manta Rays. There are over 30 dive sites within a 10 to 45 minutes sail away. You can even have a personalised programme made for you. On Four Seasons resorts Kuda Huraa is a great surf school. There are six breaks within easy reach of the island, including Chickens, Honkys and Sultans. See our blog on surfing in the Maldives. Four Seasons resort Kuda Huraa also offers a wide choice of water sports, including kayaking and windsurfing. You can even learn how to snorkel, a must do in the Maldives. You can also take one of the special trips on offer, such as island hopping, dolphin watching cruise or a seaplane photo flight. The Marine Discovery Centre at Four Seasons resort Maldives, Kuda Huraa is an interactive research and education centre that introduces guests to how they can help in conserving the marine ecosystem. See Protecting the Maldives Environment. 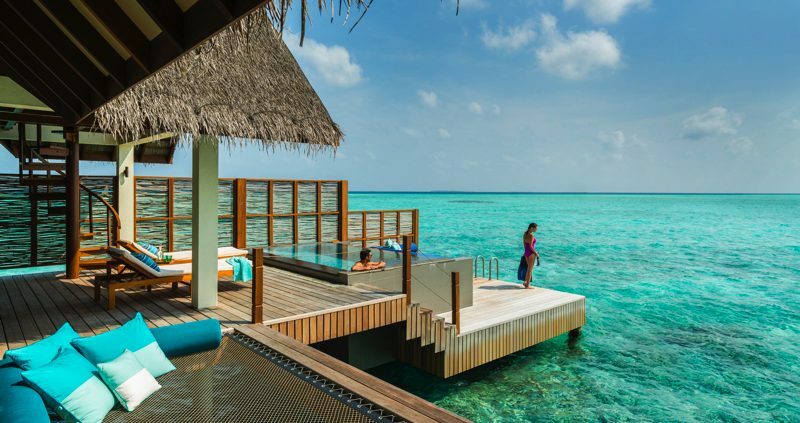 Four Seasons Resort Maldives, Landaa Giraavaru combines flawless service, five star facilities and world class cuisine with a real sense of discovery. You can stay in a Beach Bungalow or Water Villa. There are also two bedroom suites available. Villas are spread across a jungle wilderness in the Baa Atoll UNESCO World Biosphere Reserve. 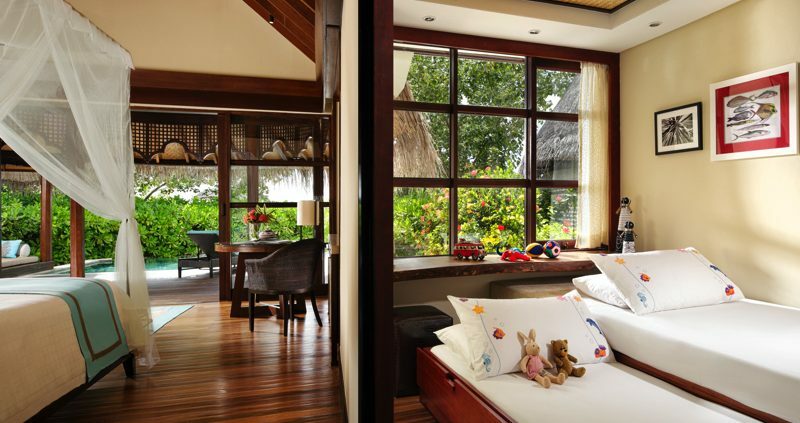 Sleep in Teak furnished pavilions, or enjoy the fresh sea breeze in your open air traditional thatched hut. Four Seasons Resort Landaa Giraavaru boasts four restaurants and four bars. Savour the tastes of Asia, try Lebanese and Moroccan dishes on the rooftop, dine on Italian food, as lagoon and ocean views stretch in to the distance or feast on the catch of the day or organic meats by the poolside. Four Seasons Resort Landaa Giraavaru has four separate pools, including the only Olympic size pool in the Maldives, which is supported over the lagoon. 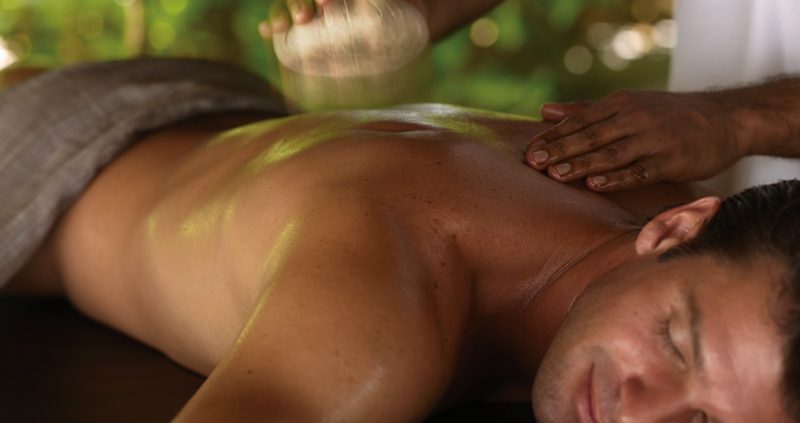 There is even a tennis pro available to coach you, as well as fitness instructors to take you jogging on the beach. Four Seasons Resort Maldives, Landaa Giraavaru also has a PADI Five-Star IDC Centre which offers tailor made programmes to suit all abilities. Dive with shoals of brightly coloured fish, drift the channels with reef sharks, spot whale sharks or descend deep sea ridges with rays, giant napoleons and blue marlin. You can also take a cruise to see turtles as the sun rises, or dolphins as the sun sets. At the western end of the island on Blu Beach is the Water Sports Centre, which is open daily. Here you can go sailing, kayaking, hire a catamarans or try windsurfing. Organised trips out include snorkelling and picnic excursions or try the romantic sunset cruise. 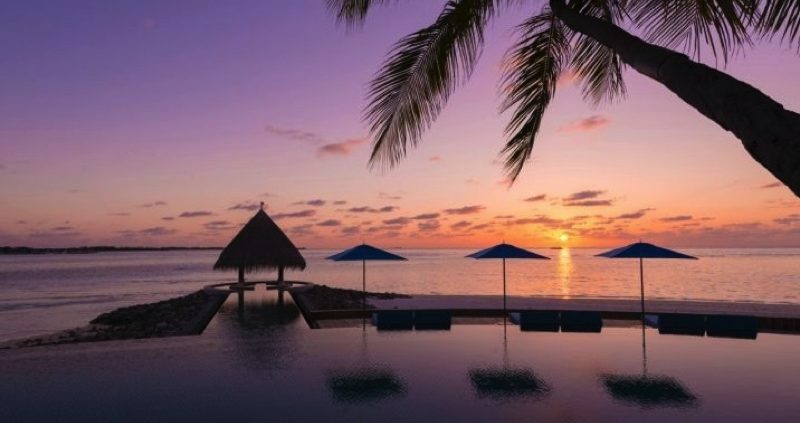 The sunsets in the Maldives are spectacular. Four Seasons Resort Landaa Giraavaru has its own yacht the Landaa Summer. Set sail and enjoy enjoy champagne and canapés on the way. The Marine Discovery Centre at Four Seasons Resort Maldives, Landaa Giraavaru works to enhance your stay by means of education, research and conservation of the ocean environment. 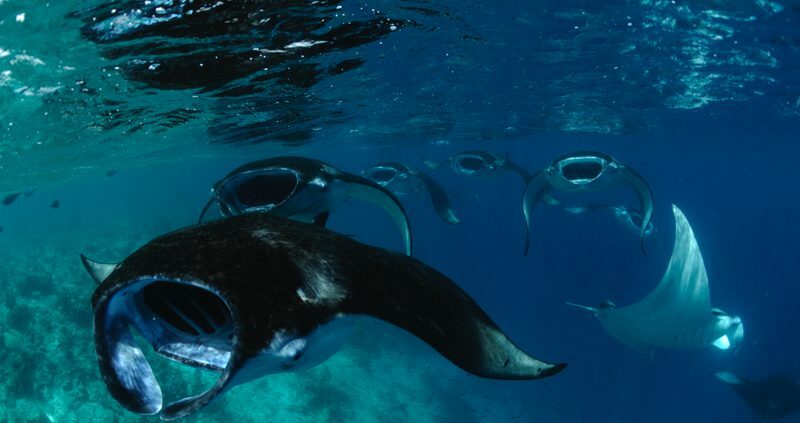 It is the base for innovative research on manta rays and coral reefscaping, leading to data that will help sustain these at risk species. There is also the option to Cruise and Stay at either or both of the Four Seasons Resorts Maldives, on their Four Seasons Explorer Yacht, a luxury catamaran.